Materfad – material centre in Barcelona, will be a partner of Reshape Competition and Reshape Forum. Since the first editions Matefad, directed by Valerie Bergeron, support the Reshape Program and exhibiting the Reshape emerging designers on the permanent exhibition What’s Next at the Disseny Hub of Barcelona. 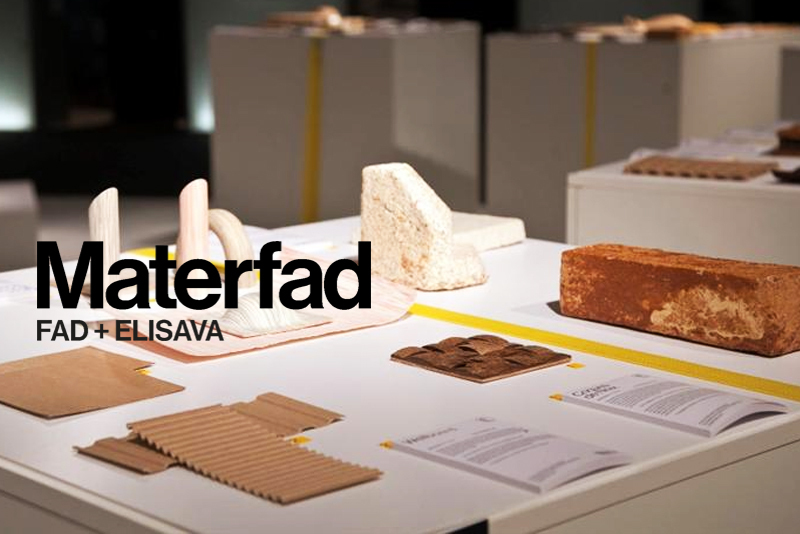 Materfad is a materials centre in Barcelona, created by the FAD (Fomento de las Artes y del Diseño) and led by ELISAVA. Materfad is engaged in research and watches over technology that is incorporated into the new materials. Furthermore, it offers all kinds of services to companies, professionals, universities and technology centres such as organizing, consulting and training. For this edition of Reshape18 | sensing materialities, we have a pleasure to count on Valerie Bergeron as an expert on materials. She will judge the Reshape projects from the Product design category and she will be part of the Main event Reshape Forum talking about the connection between New materials and products in this new era. Valerie also collaborated with architectural firms in Milan, Paris and Barcelona as Gregotti Associati, Gae Aulenti and BB+GG arquitectes/Beth Galí) editing industrial design with FontanaArte, iGuzzini, Escofet and Santa & Cole and collaborating, as senior architect, in projects of museums such as Musée d’Orsay (Paris), Asiatic Art Museum ( San Francisco), Centre Georges Pompidou (Paris),Palazzo Grassi (Venice) and MNAC, Museu Nacional d’Art de Catalunya (Barcelona).